The Fishman Fluence Multi Voice Single Width Strat Pickup provides you with two distinct and powerful voices, that can be selected by a switch. Voice 1 has a sweet warm, vintage tone with a clear and present sound. The second voice has a Hot Texas single-coil sound with a muscular and beefy "overwound" tone. Finally, the Fishman Fluence pickup delivers up-to 250 hours of battery life, meaning that you don't have to worry about running out of power, mid performance. Each fishman fluence pickup has two distinct and useful voices that can be used for a variety of styles. These pickups are free from hum, noise and inductance issues, perfect for live performances and gigs. 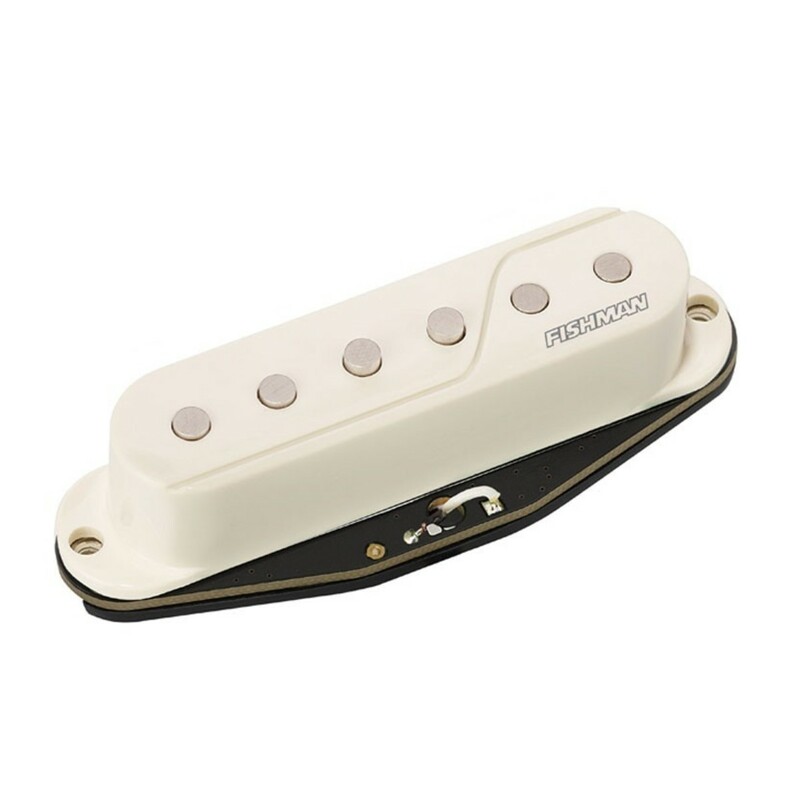 Voice 1 produces a clear and present vintage single coil tone with added warmth. Voice 2 produces a muscular and beefy tone with fantastic highs.